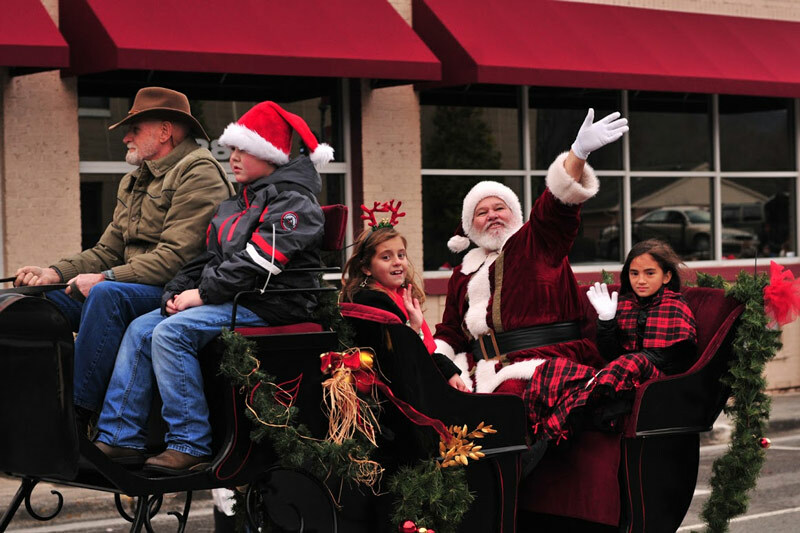 MainStreet Dayton will officially kick off the Holiday Season this Saturday with their annual Horse & Carriage Parade. The parade starts at 4:30 but Santa will be on hand for photos along with the Christmas Critters contest at 2 PM. Appalachian music will fill the courthouse lawn as Tom Morgan and company perform your Christmas favorites at 3PM. 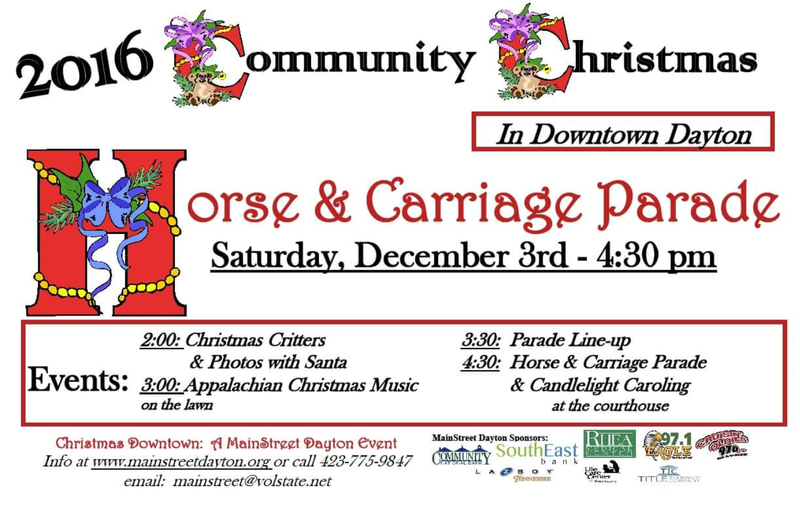 Grand Marshal Cindy Horton will lead the way for this year’s rightly themed “A Community Christmas” with friends from the Rhea County Community Center, horse and carriages, DCS Marching Band, the Golden Eagle Marching Band, and many more. The parade will be capped by Christmas Carols by the Walden’s Ridge Community Center singers. Come catch the Holiday Spirit this Saturday at the 18th Annual Horse & Carriage Parade presented by our friends at MainStreet Dayton.